As a global corporate citizen, Barilla is committed to diversity and inclusion. This extends across all aspects of our business, from employees to suppliers. Barilla’s mission is to create opportunities so that diverse firms can do business in the highly competitive food and consumer products industries, ultimately leading to their growth and expansion beyond Barilla’s program. Our immediate relationship with you won’t change. Barilla’s Supplier Diversity and Inclusion Program simply ensures that all suppliers have equal opportunity to participate in our procurement process. 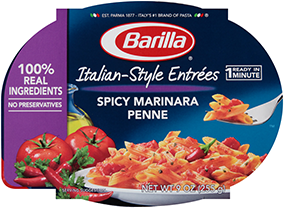 Barilla expects its prime suppliers, even if they do not themselves identify as a diverse, to honor their commitment to diversity by actively including certified diverse suppliers as Tier II suppliers.